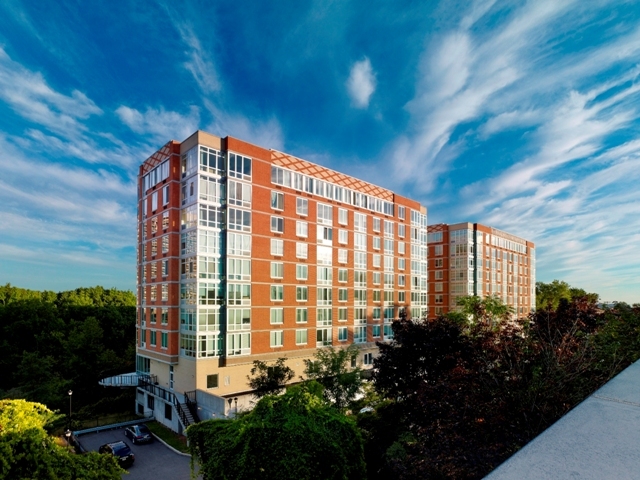 PALISADES PARK, N.J. – The luxury and value found in the new condominium homes at Trio in Palisades Park has made a strong impression on residents of the Bergen County high-rise building. Joseph Yang is one such buyer. Mr. Yang had been renting a condominium at the collection of 140 homes and expressed such confidence in the community and its lifestyle he decided to become a proud Trio homeowner. As a resident Mr. Yang in one of Trio’s nine-story buildings, Mr. Yang was already well aware of its upscale living environment, exciting amenities and commuter-friendly location minutes from the George Washington Bridge. While Mr. Yang was familiar with the elegant and activity rich environment created by world-class amenities, he’s been pleased to discover all the luxury appointments and designer interior features found in the condominium homes newly released by MWHF Palisades Park, LLC, developer of Trio. 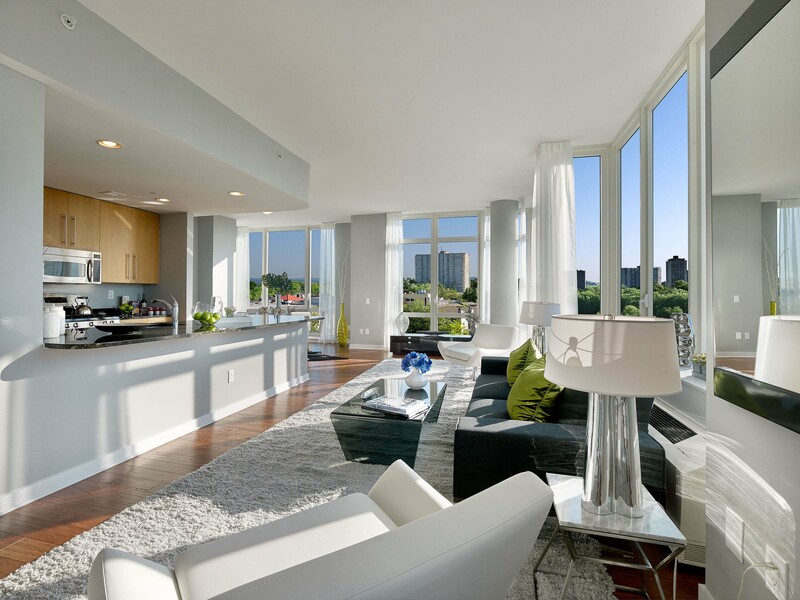 Trio offers a selection of one-, two- and three-bedroom residences, which boast floor-to-ceiling windows, hardwood floors, and modern recessed lighting. Gourmet kitchens include granite countertops, stainless steel GE appliances, custom maple cabinets, and Kohler fixtures. Designer bathrooms feature Crema Marfil marble floors, granite countertops, custom maple vanities, and Kohler fixtures. All homes come with individual washers and dryers. Condominiums at Trio are currently priced from just $320,000 and are available with immediate occupancy. Situated on the top floors of the two nine-story buildings, the two-bedroom Penthouses at Trio are priced from just $595,000. Four different Penthouse floorplans are now available at Trio with desired elements such as separate kitchen and dining areas, two-and-a-half to three bathrooms, spacious master bedroom suites with walk-in closets, designer kitchens and more. Some of the Penthouses offer spectacular New York City views, while others offer spanning vistas of the western-facing landscape. Homes are available with covered parking. An eclectic collection of resort-like amenities and services at Trio offers homeowners the opportunity to participate in a wide range of activities. 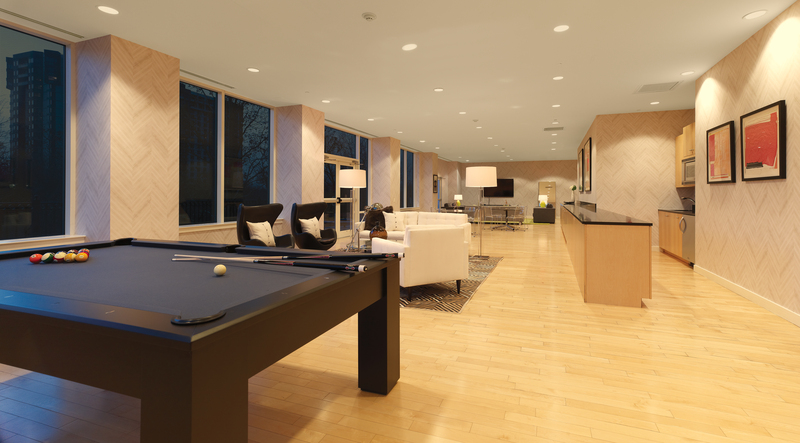 Found within the building are a lounge with billiards, ping pong, a large screen TV and catering kitchen, a state-of-the-art fitness center, yoga studio, game room, virtual golf simulator, outdoor terrace and a business center. Joy Abma, 23, and Dan Charnesky, 24, expected to rent an apartment after their wedding this spring. But when they looked at the high rents — and the difficulty of finding a place that would take their three dogs — they decided to try to buy a home instead. “We had been saving for a very long time, so we ended up with enough money for a down payment,” said Abma, a nurse who lives in Wyckoff. After several months of looking, she and Charnesky, a landscaper, are to close on an Oakland split-level house this month. “We thought, ‘We might as well do it while we’re young,’ ” Abma said. But buying a home when you’re young is more difficult than ever. Thanks to high student debt, stricter mortgage standards and years of slow employment and income growth, people in their 20s and 30s have found it tough to get their first toehold in homeownership — and that’s a problem for the whole real estate market. Without enough first-timers to jump-start a chain of purchases, homeowners can’t trade up to their second and third homes. First-timers may return to the market in greater numbers this year, however, according to some analysts, who point to low interest rates, a stronger job market and high rents, all of which make buying more attractive. Michael Kusnir, who grew up in New Milford and just bought a $295,000 condo at the M in Englewood, works in his family’s elevator-inspection business. He knows he was fortunate to have that job opportunity.